“Geri’s Game” is one of Pixar’s most memorable shorts, despite it being over 20 years old now. It came out in 1997, and was then played before A Bug’s Life in November of 1998. Even though its age means that current technology has totally surpassed the level of detail they were able to include in “Geri’s Game”, the short has aged incredibly well and is still fondly recognised as many people’s favourite animated short. “Geri’s Game”, directed by Jan Pinkava (who went on to co-direct Ratatouille), tells a simple but effective story of an old man (Geri) playing a game of chess against himself. There is only one character in the short, but the clever use of editing, camera angles, and animation give the illusion of there actually being two ‘Geri’s competing against each other. It’s the animation especially that makes this illusion so endearing – one Geri is frail and withdrawn, peering uncertainly through his glasses and moving each of his white chess pieces with shaky hands, while the other Geri sits confidently with a smug look on his face. He doesn’t seem to need his glasses to plan out his next move – as soon as takes his place at the chess table he moves each black pawn, knight or rook quickly and decisively. “Geri’s Game” shows how important facial expressions and gestures are in determining a character’s personality. Here, the Geri playing with the black chess pieces oozes confidence. The Geri playing with the white pieces is withdrawn and unsure. The confident Geri is somehow the much better chess player, but the other Geri manages to win the game in a more unconventional way – he fakes a heart attack and spins the chessboard around while his foe is distracted. And the prize for winning? Geri’s very own pair of dentures. The story is silly, but it also shows a heartwarming insight into an old man facing the loneliness head-on – loneliness is a huge issue with the elderly, but it’s lovely to see Geri having fun in his own company, even if it’s a little crazy. 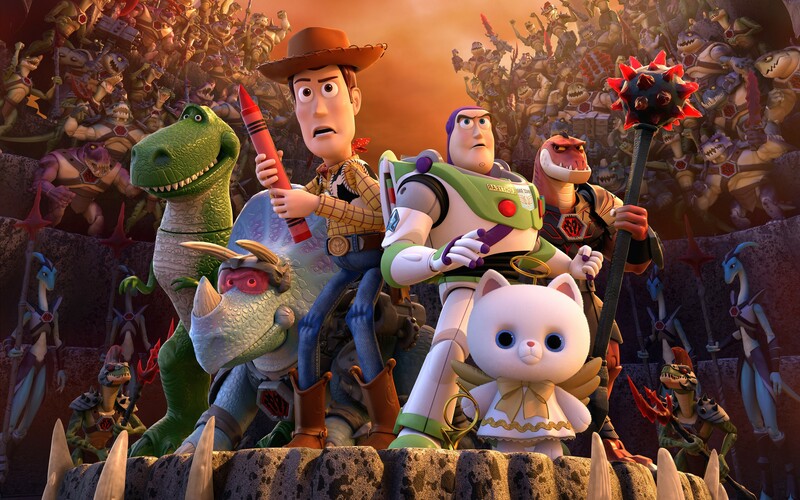 At the time it was released, it must have really shown the potential 3D animation had for creating characters full of personality and illustrating stories that people feel invested in. It won the 1997 Academy Award for Best Animated Short Film, and you can see why – while modern day 3D animation generally looks much more detailed and impressive, “Geri’s Game” made good use of its limited technology. Geri’s character model may not be staggeringly beautiful by today’s admittedly high standards, but the animation is wonderful – next time you watch the short, pay attention to how his elderly hands shake, how he walks carefully and deliberately, and how different his two personas move and behave. 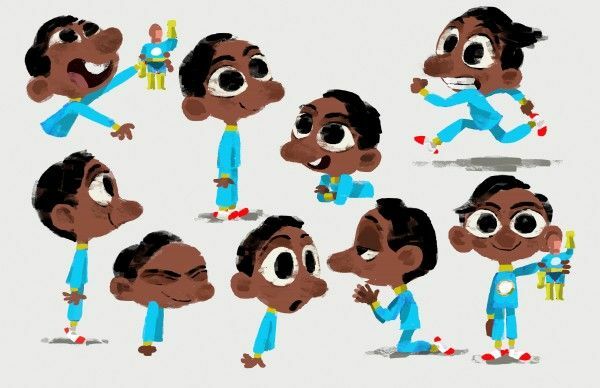 Pixar shorts are often used as a form of practice in a way, and you can tell “Geri’s Game” was used to focus on improving their animation and modelling of humans. There is one shot where both ‘Geri’s can be seen at once. Pinkava assures us this was an intentional joke. Geri appeared again in Toy Story 2 as the toy repairman who made Woody look as good as new. The toy repairman was a last-minute character addition, so using an old model as a starting point saved them a lot of time. 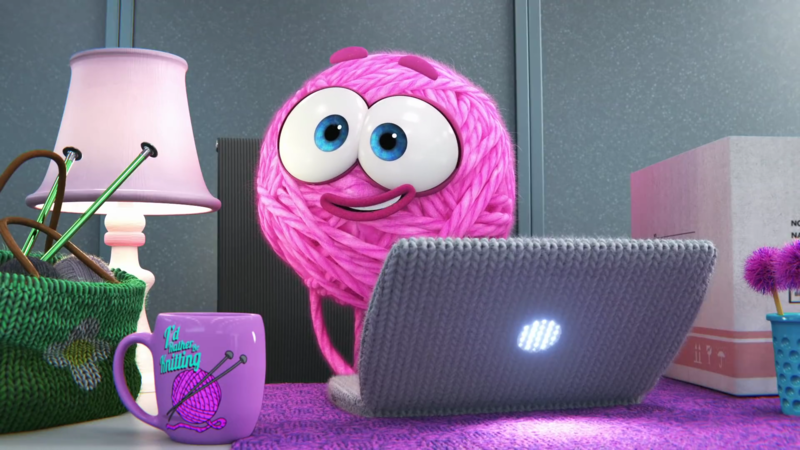 Geri is voiced by Bob Peterson, who has also lent his voice to Dug (Up), Roz (Monsters Inc.) and Mr. Ray (Finding Nemo). Brad Bird (director of The Incredibles, Ratatouille, and Incredibles 2) told Pinkava that one of the reasons he came to Pixar was because of “Geri’s Game” – it showed him that human animation was possible using 3D techniques. This week, “Lava” was the overwhelming favorite in our latest twitter short film poll. I have to admit, I was more than a bit surprised that “Lava” won, and by such a large margin. I remember the short being distinctly unpopular when it first premiered in 2015, paired with Inside Out. 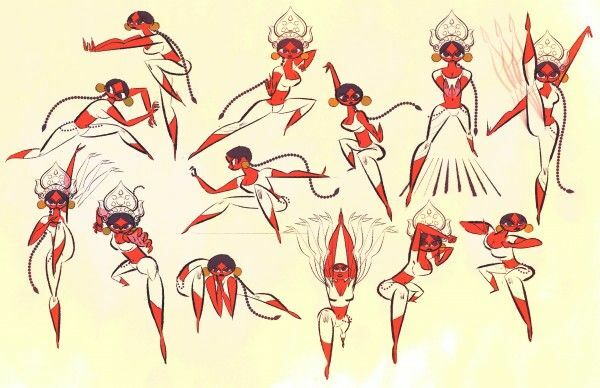 There were lots of complaints about “Lava,” ranging from the story (or lack thereof) to the character designs. And while some of those negative responses are reasonable (to an extent), I think this short does have its merits. Maybe “Lava” isn’t technically or narratively groundbreaking, but it doesn’t have to be. I saw Inside Out nine times in theaters, which means I also saw “Lava” nine times! 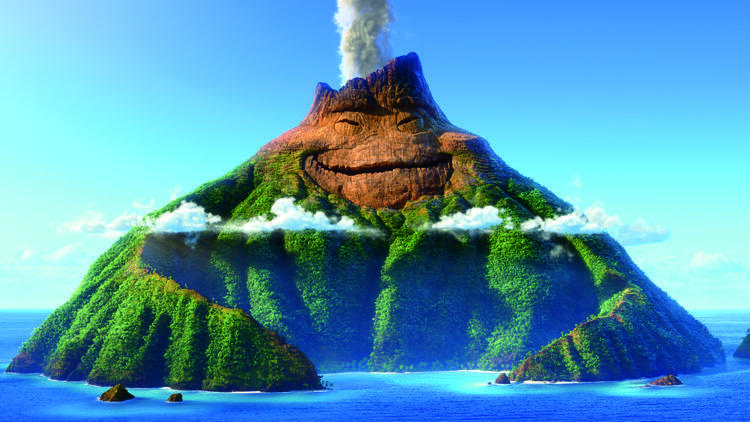 And at almost every viewing, the reaction to Uku, the male volcano, opening his mouth to sing was derisive laughter. I couldn’t ever see what was so funny about it. What made me laugh wasn’t the short itself, but my mother’s wry observation at its conclusion: “Well, there’s someone for everybody.” And isn’t that just like Pixar, to not only anthropomorphize volcanoes, but make them yearn for romance and everlasting love? Sure, as someone in one of the above critical pieces noted, Pixar already did it before with umbrellas…but these are volcanoes! Massive ruptures in the earth’s crust that literally erupt fire and destroy everything in their path. But the volcanoes in “Lava” are gentle, with friendly faces and sweet singing voices. Uku (Kuana Torres Kahele) is a lonely volcano in the middle of the sea who sings about finding his one true love. Thousands of years pass and he remains alone, literally eroded and sinking into the sea. One of the most brilliant moments of the short is the time lapse representing all these years. And how quietly devastating is the sight of a volcano on the brink of extinction, never once experiencing the love that all the animals around him do? Turtles, dolphins, birds — all have a special someone, except for this craggy mountain of rock. He once bloomed in verdant greens, with bright sparks of red-orange lava, but all of that rich color and life disappear. But not all hope is lost. Lele (Napua Greig) is an underwater volcano who believes Uku’s song is for her. She bursts forth to the surface while Uku descends into the sea. When she starts singing his song, Uku, reinvigorated by music and love, rises back up to join her, and they form an island called Ukulele. “Lava” is considered by many to be Pixar’s weakest. Some people are a bit more extreme in their assessment, calling it the worst thing Pixar has ever made, offensive (! ), worthless, total garbage. Dana Stevens over at Slate declared it an embarrassingly terrible horror show, but only after she spent four long winded paragraphs talking about other film releases in 2015. Truly bizarre! I might not agree with my nephew that “Lava” is Pixar’s greatest short, but I definitely trust his opinion more than anyone else’s. Director James Ford Murphy was inspired by his love of Hawaii, where he honeymooned with his wife over 25 years ago. He also wrote the short’s eponymous song and first pitched it at Pixar by singing and playing it on his ukulele. The song’s inspiration came from Hawaiian singer Israel Kamakawiwo’ole’s beautifully haunting rendition of “Over the Rainbow,” which is very meaningful to Murphy. What he really wanted was to create something just like it in movie form. There’s also the level of immaculate detail we usually expect from Pixar, particularly the inspiration from actual volcanic geology. Murphy also incorporated Lōʻihi, an underwater volcano, into the short. Lōʻihi formed the basis for “Lava,” as Murphy wondered if this volcano knew about Hawaii (the Big Island) and vice versa. What I love most about the short’s backstory is that Lōʻihi came to represent Murphy’s sister, who married in her 40s. We got the answer in a sweet 7 minute musical. Uku and Lele’s eyes were originally lava, but the result was creepy and they ended up looking too much like jack-o-lanterns. The clouds around the two volcanoes were based on weather patterns and were also meant to resemble hula skirts and leis. The voices of Uku and Lele, Kuana Torres Kahele and Napua Greig, found out they had both attended hula school together when they met in the recording studio. Did you know the Pizza Planet Truck appears in the short? Look very closely at one of the constellations in the sky during the time lapse! “Day & Night” is the much-loved Pixar short that played before Toy Story 3 in 2010, and it still stands as one of the most unique shorts in the studio’s history. It explores the inspired 2D-3D world of Day and Night – two polar opposite characters with, to begin with, a total lack of empathy for each other. The short opens with a fully 3D animated scene, and the audience is lulled into a false sense of familiarity: Pixar does 3D animation! This is what we’ve all come to expect (the genius Ratatouille short “Your Friend the Rat” is a clear exception here, along with lots of creative credits scenes). This is where “Day & Night” hits us with the first of many clever surprises – this 3D world we’ve been looking at is all inside not one, but two 2D animated characters. Inside Day are sunny fields, bright mornings and singing birds, while inside Night are moonlit meadows, glinting stars and chirping crickets. 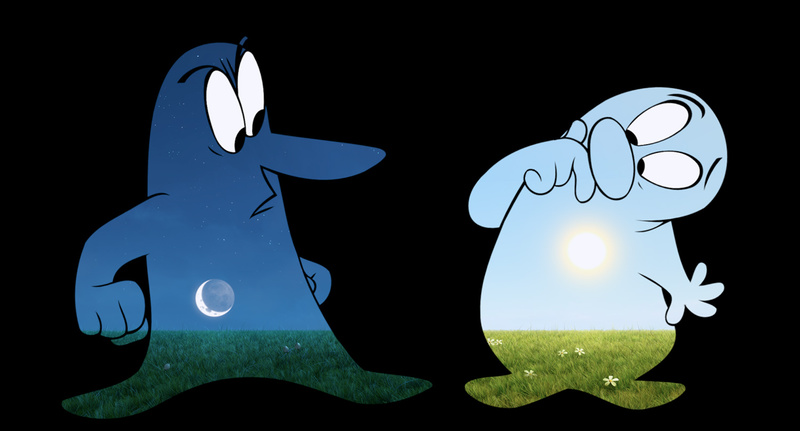 These two characters live in the same world – in fact, the entire short only uses a single camera – but the “Day & Night” crew managed to pull off this seamless day-night contrast between scenes inside each of the characters. They live in the same world, but they see it so differently. It’s only as they discover more about each other that they begin to see the beauty in their opposite’s perspective. This is such an important message – one that can apply to absolutely everyone who’s had the joy of watching the short. There are so many things to appreciate about “Day & Night”: the particularly relevant message, the knitting together of wildly different animation techniques, the use of sound… Initially, director Teddy Newton wanted to use only natural sounds to create the soundtrack of the film, but eventually Michael Giacchino was enlisted to compose music for it too. The music was only used where music would naturally be – playing on a radio on the beach, or blasting out of Las Vegas casinos. There are so many smart visual and audio gags in “Day and Night” – ducks quacking to mimic laughter, squeaky bicycle wheels to imitate Day rubbing his eyes. Here, Night is hanging off a cliff edge. The finale to “Day & Night” is perhaps what sticks with people the most – Day and Night are distracted by a radio broadcast, which is a snippet from a Dr Wayne Dyer (author and motivational speaker) lecture. It’s after hearing this recording that Day and Night finally understand the beauty in one another’s world views – it’s people’s differences that make our world so full of wonder. A synchronised sunrise and sunset show that Day and Night may be very different, but it’s still possible to connect with one another. That’s a pretty brilliant message to be putting out there. Director Teddy Newton would hear this recording of Dr Wayne Dyer while he was growing up because his mother owned an audio recording of one of his lectures. He felt the quote so perfectly fit the theme of “Day & Night” and it couldn’t not be included. Pixar treated Dr Wayne Dyer to a screening of “Day & Night” as a way of saying thank you. Initially, Newton came up with the idea of a keyhole character with the 3D world inside it. In the end, he decided the characters needed to be more mobile to be able to tell a story, so the keyhole concept gradually evolved into the walking and (kind of) talking Day and Night characters that we see now. Newton lent his voice to Chatter Telephone in Toy Story 3 and Mini Buzz in the Toy Story Toon “Small Fry”. Premiering at the Annecy International Animated Film Festival in 2011, Enrico Casarosa’s “La Luna” would go on to captivate viewers worldwide when it debuted in theaters before Brave a year later. “La Luna” continues the Pixar tradition of evoking a deep sense of wonderment, but it’s distinct among the studio’s short films for both its visual and storytelling style. The official synopsis describes this mini masterpiece as a ‘timeless fable,’ where a young boy goes to work for the first time with his family. Bambino (boy in Italian) sets out on a nighttime voyage across the sea in a small boat with his Papa (Pixar’s Tony Fucile) and Nonno (grandfather). The three are dressed similarly in brown overalls, and Nonno presents Bambino with a matching hat like the one he and Papa wear. They both disagree on the proper way Bambino should wear it, which is only the start of their disagreements and bickering. Bambino is uncomfortable being in the middle of their squabble. The three sit in silence, totally surrounded by water and sky, waiting; for what? Bambino doesn’t know himself. The answer comes in the short’s first awe inspiring moment, when the moon rises into the sky, its reflection rippling the calm water. It’s massive and so close. Bambino is given an anchor, and then Papa reveals a ladder that…goes up to the moon! The timid boy lands on the moon’s surface and discovers that its covered in golden stars. They fill up all the craters too. This is the family’s extraordinary line of work. Papa and Nonno are the moon’s janitors. They’ve even got a broom shed up there. They sweep the stars off the moon’s surface, and now they’re teaching Bambino to carry on the work. As they did with Bambino’s hat, the two men quarrel about what kind of broom he should use. 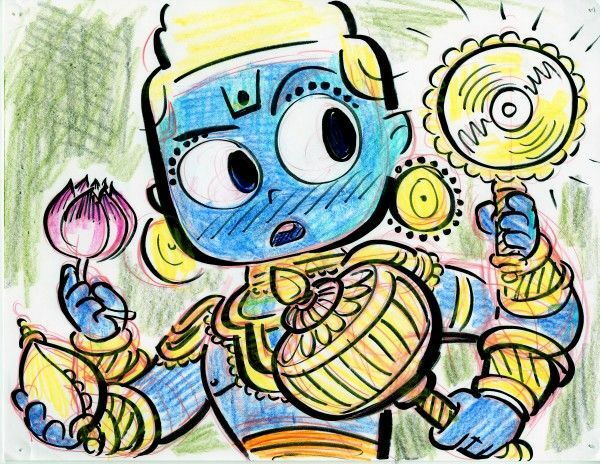 This time however, Bambino’s wonder and joy eclipse their bickering. The feeling I get when I watch “La Luna” is almost indescribable. It’s glowing with warmth, which owes a lot to the film’s use of colors and texture. Casarosa wanted to bring as much of a watercolor look to the film as was possible with a computer. The result is a stunning, as close to a painting as you’ll get in CG, bit of work. That glorious shot of the moonrise is actually watercolor! Casarosa also wrote and illustrated a storybook version, which is only too fitting considering its whimsical artwork and the simple way it unfolds onscreen. Concept art by Dice Tsutsimi. 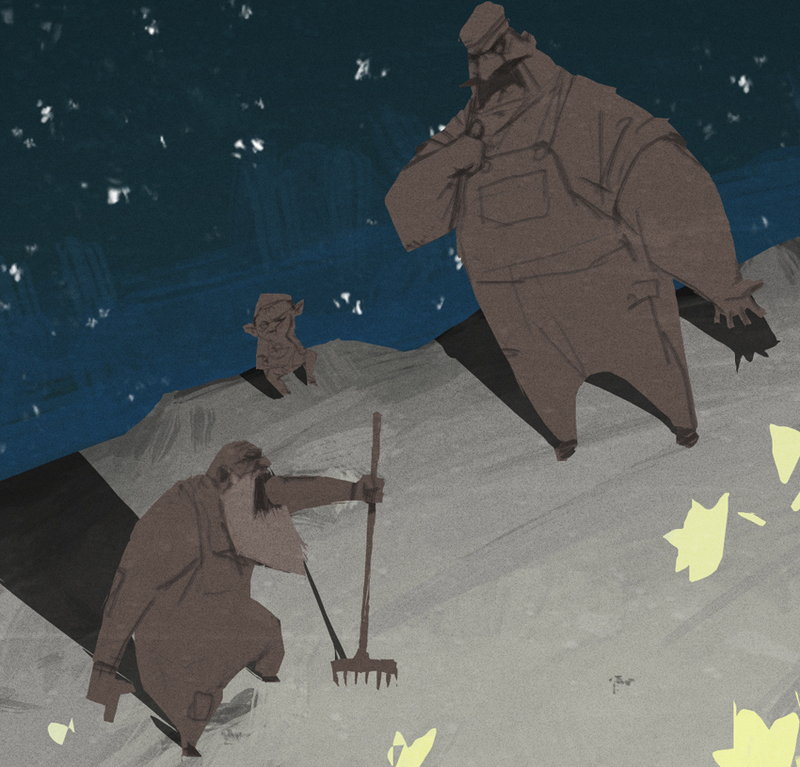 On Pixar’s site, this detail about Papa and Nonno illuminates one of the short’s messages even more. Both men have lost their sense of joy and wonder. Climbing a ladder up to the moon no longer excites or delights them. And that’s one of the many things I love about this short. It champions looking at the world through the eyes of a child, where the things we’re used to, yes, even something as grand as the moon, are always new and extraordinary. The crescent moons in Bambino’s eyes are not only a charming design choice, but another contrast between him, Papa, and Nonno. He sees what they can’t! “La Luna” is Pixar’s most elegant and poetic offering to date. Michael Giacchino’s score is a lunar lullaby. The film’s sound design is also on par with its visuals. Have you ever wondered what stars sound like? The short gives us an idea with their soft clattering. 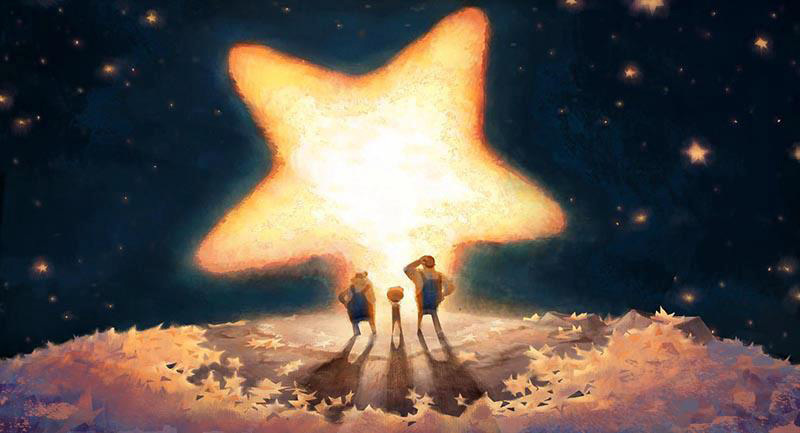 And the way the giant star sings when Bambino’s touch sends ripples echoing through it – it’s just divine. Something Enrico Casarosa said about this short has stayed with me for years. That’s not only true for Bambino, and of course, all of us trying to find our way in the world, but for the director, too. There’s plenty of poems, stories, and artwork inspired by the moon. “La Luna” found its way to be one of the most mesmerizing. The time period is the 1930s. Papa and Nonno speak Italian gibberish. Bambino is on a poster in Riley’s classroom in Inside Out. Papa’s thick mustache was based on Mr. Duffi‘s from Studio Ghibli’s Castle in the Sky (1986).